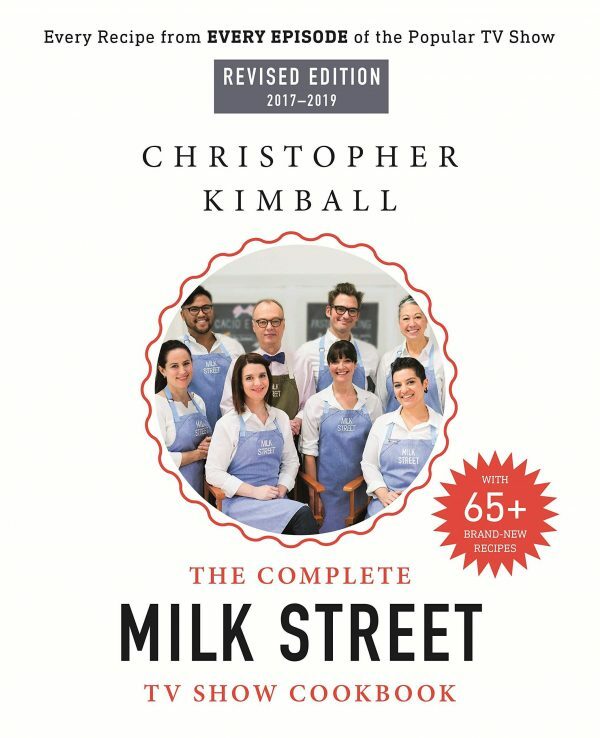 CPK Media, LLC d/b/a Christopher Kimball’s Milk Street (“CPK Media” “we” “our” or “us) has created these Terms of Service (“Terms”) to govern the use of our websites and mobile websites (“Sites”) and the products and services offered or provided by us through or in connection with the Sites that link to these Terms (collectively, the “Services”). Please also read our full Terms of Service for details. You accept these terms: Each time you access and/or use the Services, you agree to these Terms. Services are provided “as is”: We provide the Services “as is” and we make no representations for quality, effectiveness and availability of the Services. Arbitration of all disputes; no class actions: Any disputes under these Terms will be resolved on an individual basis through binding arbitration; you waive participation in class actions. These Terms may change at any time. CPK Media will post the most current version on the Site or via a link on the applicable Service with a new Effective Date. Changes are effective from the Effective Date. Your continued access or use of the Services after we post changes to the Terms signifies your agreement to those changes. If you do not agree to the current Terms, you must discontinue using the Services. When you provide us with contact information in connection with a particular activity or product or otherwise when using our Services, such as an email address or telephone number, you agree that this action constitutes a purchase or inquiry establishing a business relationship with us. You expressly consent to our communicating with you using contact information obtained directly from you or which is provided to us with your consent. You attest that you have the legal authority over any contact information provided to us and can provide us and/or third parties with the authorization to contact you. This means you may be contacted in person or by recorded message, by e-mail, telephone and/or mobile telephone number (including use of automated dialing equipment), text (SMS) message, IM messaging, or any other means of communication that your wireless or other telecommunications device may be capable of receiving), in accordance with applicable law. Please keep your contact information up to date as you are solely responsible for any contact information you provide to us. The Services may include links to third party websites or other resources (“Third Party Sites”). Users are responsible for deciding whether you want to access or use a Third Party Site. CPK Media is not responsible for and does not endorse any features, content, advertising, products or other materials on or available from Third Party Sites. CPK Media is also not be responsible or liable for any damage or loss caused or alleged to be caused by or in connection with your use of or reliance on any such information or materials available on or through, or any of your information collected on a Third Party Site. Please refer to the applicable offer for a description of our products and services such as our current subscription plans and pricing. The terms and conditions of any offer disclosed to you when ordering are deemed part of these Terms. If you purchase any of our subscription Services, CPK Media will bill you the applicable fee periodically for the offer you selected (“Fee”) using the billing and purchasing information you provide e.g., credit/debit card number, billing address, and expiration date (“Billing Information”). By providing your Billing Information, you authorize CPK Media to charge your chosen payment provider (your “Payment Method”) pursuant to the offer you accepted, including any recurring Fees for any automatically renewing Services until you affirmatively cancel the Services or change your Payment Method. The terms of your payment will be based on your Payment Method and may be determined by agreements between you and the financial institution, debit/credit card issuer or other provider of your chosen Payment Method (the “Payment Method Provider”). All Fees are in US Dollars, unless otherwise indicated. Depending upon your credit/debit card's currency and the country in which your card was issued, your credit card provider may impose foreign exchange fees and other fees in accordance with your arrangements with that credit/debit card provider. If CPK Media does not receive payment from your Payment Method Provider, you agree to pay all amounts due on your account upon demand. In the event we are advised of insufficient funds in your account or credit to cover your payment by your Payment Method, we may re-present such un-cleared or rejected payment to your Payment Method Provider. In the event we have to collect unpaid amounts you owe us, you will be liable for all collection costs, including attorneys' and collection agency fees. CPK Media reserves the right to correct any errors or mistakes that it makes even if it has already requested or received payment and to update your information from available third party sources. In the event CPK Media cannot charge the Payment Method you provide, we reserve the right to terminate your order and invoice you for any unpaid amounts. You must promptly notify CPK Media if your Payment Method is canceled (e.g. for loss or theft). If you fail to notify us, you remain responsible for any continued charges to the Payment Method you have provided. REGARDLESS OF THE TERMS OF THE OFFER YOU ACCEPT, IF YOU MAKE A REQUEST TO CUSTOMER SERVICE, YOU CAN CANCEL AT ANY TIME AND RECEIVE A PRO RATA REFUND FOR UNSERVED SUBSCRIPTION ISSUES. For purposes of identification and billing, you agree to provide CPK Media with accurate, complete, and updated Billing Information required when purchasing online or offline, and provide CPK Media and its third party payment processor express authorization to charge the Fee at the time of purchase. Failure to comply with this provision (including, without limitation, falsification of any Billing Information) may, at CPK Media’s option, result in immediate suspension or termination of your right to use the Services. Change in fees for recurring charges CPK Media reserves the right to change the Fees for its merchandise and Services and will provide notice of any increase prior to your being charged. If you order our Services under a special introductory offer (for example, a discounted or free initial trial or free merchandise), you are subject to the terms of the offer you accepted and, unless you cancel within the time frame presented in the offer, the applicable regular Fee for the Services you selected will be posted to your Payment Method after the introductory offer or trial period is completed. We reserve the right to limit any introductory or trial offer to one per person/household. To terminate any Services or change your Payment Method or for any other billing related inquiries, please contact customer service at 866-400-0537, go to service.milkstreetmagazine.com or contact us as set forth in the Section 10 below. The Services are for the use of users and may not be used in connection with any commercial endeavors except those that are specifically endorsed or approved by us. Please see Section 4 “User Code of Conduct” for details on the permitted and prohibited uses of the Services. Appropriate legal action may be taken for any illegal or unauthorized use of the Services. CPK Media may at any time for any or no reason interrupt availability of some or all aspects of the Services, or modify, replace, refuse access to, or discontinue any Services, in our sole discretion. CPK Media may change or modify our Fees upon prior written notice to you. CPK Media is not liable for any interruption of Services, or delay or failure to perform. Your only right with respect to any dissatisfaction with the Service or any interruptions or modifications made pursuant to this provision, or any of our policies or practices in providing Services is to cancel your order or stop using our Services. Nothing on the Services constitutes a binding offer to sell, distribute or give away any products or services. We reserve the right at any time after receipt of your order to accept or decline such order, or any portion thereof, or to not ship to particular addresses, even after your receipt of an order confirmation or after you have been charged. In the event the products and services are listed at an incorrect price, we have the right to refuse or cancel orders placed at the incorrect price, regardless of whether the order has been confirmed or you have been charged. If your order is canceled by us after you have been charged, we will issue a credit. We reserve the right at any time to limit the quantities of products or services, which you, your family or any group seek. Users acknowledge that by using the Services you may have access to pictures, digital images, graphics, music, video, audio, text, computer code and other creative output furnished by or on behalf of CPK Media, its licensors or other users (collectively, “Content”). You acknowledge that CPK Media, CPK Media licensors and users have rights in their respective Content under copyright and other applicable laws and treaty provisions. You accept full responsibility and liability for your use of any Content in violation of any such rights. All right, title and interest in and to the Services is the exclusive property of CPK Media and its licensors. We hereby grant users a limited, revocable, non-sublicenseable license to reproduce and display the CPK Media Content (excluding any Software defined below) solely for your personal use to the extent necessary to access or use the Services. All trademarks, logos, service marks, trade names, and trade dress appearing on the Services are proprietary to CPK Media or its licensors. CPK Media reserves all rights not expressly granted in and to the CPK Media Content and the Services. All comments, feedback or materials submitted by users to us, including feedback, testimonials, images, reviews, questions, comments, suggestions or ideas (collectively, “Feedback”), is received and treated by us on a non-confidential and unrestricted basis. CPK Media is free to use, display, perform, distribute, copy, adapt, and promote the Feedback in any way, without compensation to you. You agree that in submitting Feedback, it will not violate any right of any third party, including any confidentiality, copyright, trademark, privacy or other personal or intellectual property or proprietary rights, and will not cause injury to any person or entity or contain libelous or otherwise unlawful, threatening, abusive or obscene material, or contain viruses, commercial solicitations, or any form of “spam”. Images available on or through the Services may not accurately capture the actual appearance, color, look and feel, specifications, features, or functionality of such Services. CPK Media provides the Services and Software strictly on an “as is” basis and does not guarantee that the Services or Software will function without interruption or errors in functioning, or be virus-free. The operation of the Services or Software may be interrupted due to maintenance, updates, or system or network failures. CPK Media disclaims all liability for damages caused by any interruption, malfunction, impossibility of access, or poor use conditions of the Services or Software for any reason. TO THE EXTENT PERMITTED BY APPLICABLE LAW, CPK MEDIA EXPRESSLY DISCLAIMS ALL WARRANTIES OR CONDITIONS OF ANY KIND, WRITTEN OR ORAL, EXPRESS, IMPLIED OR STATUTORY, INCLUDING WITHOUT LIMITATION, ANY IMPLIED WARRANTY OF TITLE, NON-INFRINGEMENT, MERCHANTABILITY OR FITNESS FOR A PARTICULAR PURPOSE. To the extent permitted by applicable law, CPK Media makes no warranty as to the quality, accuracy, completeness or validity of any information or Content that you access, or that your use of the Services will meet your requirements. IN NO EVENT IS CPK MEDIA OR ITS SHAREHOLDERS, PARTNERS, AFFILIATES, DIRECTORS, OFFICERS, SUBSIDIARIES, EMPLOYEES, AGENTS, SUPPLIERS, AND LICENSORS (“CPK MEDIA PARTIES”) LIABLE TO YOU OR TO ANY THIRD PARTY FOR ANY SPECIAL, INCIDENTAL, INDIRECT, CONSEQUENTIAL, PUNITIVE OR EXEMPLARY DAMAGES, INCLUDING, WITHOUT LIMITATION, ANY DAMAGES FOR LOST PROFITS, EXCLUDING CLAIMS BASED ON GROSS NEGLIGENCE OR WILLFUL MISCONDUCT, ARISING (WHETHER IN CONTRACT, TORT, STRICT LIABILITY OR OTHERWISE) OUT OF OR IN CONNECTION WITH THE SITE, THE SERVICES (INCLUDING ITS MODIFICATION OR TERMINATION), OR THESE TERMS, WHETHER OR NOT CPK MEDIA MAY HAVE BEEN ADVISED THAT ANY SUCH DAMAGES MIGHT OR COULD OCCUR AND NOTWITHSTANDING THE FAILURE OF ESSENTIAL PURPOSE OF ANY REMEDY.IN ADDITION, YOU AGREE THAT IN NO EVENT WILL CPK MEDIA PARTIES’ CUMULATIVE LIABILITY TO YOU FOR DIRECT DAMAGES OF ANY KIND OR NATURE EXCEED THE LESSOR OF THE MOST RECENT MONTHLY FEE THAT YOU PAID FOR THE SERVICE, IF ANY, OR U.S. FIFTY DOLLARS ($50.00). SOME STATES OR OTHER JURISDICTIONS DO NOT ALLOW THE EXCLUSION OR LIMITATION OF LIABILITY FOR INCIDENTAL, CONSEQUENTIAL OR OTHER DAMAGES, SO THE ABOVE LIMITATIONS AND EXCLUSIONS MAY NOT APPLY TO YOU. See “Special State Disclosures” below for additional information. The Services are provided “As Is”. CPK Media’s disclaimers of liability for damages caused by any interruption, malfunction, impossibility of access, or poor conditions of the Services or Software for any reason will not apply to damages directly caused by CPK Media’s gross negligence or willful misconduct. In addition, Company’s disclaimer of warranty as to the quality, accuracy, completeness or validity of information or Content is not applicable to information you access or receive in connection with the Services and provided by CPK Media. However, CPK Media does not guarantee that the use of the Services will meet your requirements. Limitation of Liability. The limitation of liability does not apply to you for damages arising out personal injury, property damage, negligence or willful misconduct or any other cause of action arising from the acts of Company but does apply to the acts or omissions of third parties. Company’s aggregate liability for all claims under any circumstances will not exceed the lesser of $1,000.00 or your actual, out of pocket costs and damages. For the avoidance of doubt, in no event will Company be liable for special, incidental, or consequential damages as stated in the Terms. These Terms will be governed, construed, and enforced in accordance with the laws of the State of Massachusetts, without regard to its conflict of laws rules except that the arbitration provision will be governed by the Federal Arbitration Act as stated herein. Limitation of Legal Remedies. If there is a dispute that remains unresolved, INSTEAD OF SUING IN COURT, YOU AND CPK MEDIA EACH AGREE TO THE FULLEST EXTENT PERMITTED BY LAW TO ARBITRATE DISPUTES THROUGH BINDING ARBITRATION PURSUANT TO THE JAMS ARBITRATION RULES AND PROCEDURES, ON AN INDIVIDUAL BASIS, WITHOUT CLASS RELIEF, EXCEPT FOR DISPUTES PERTAINING TO CPK MEDIA’S INTELLECTUAL PROPERTY RIGHTS; STATUTORY CLAIMS THAT PURSUANT TO LAW ARE NOT ARBITRABLE; INDEMNIFICATION; CONTRIBUTION; INTERPLEADER; OR INJUNCTIVE RELIEF ARISING OUT OF A CLAIM. This agreement to arbitrate is intended to be broadly interpreted. It includes claims based in contract, tort, statute, fraud, misrepresentation or any other legal theory (“Claim(s)”). The arbitrator's decision and award is final and binding, with some exceptions under the Federal Arbitration Act, 9 U.S.C. 1, et seq., and judgment on the award may be entered in any court with jurisdiction. Jury Trial Waiver. YOU AND CPK MEDIA EACH VOLUNTARILY WAIVE THE RIGHT TO TRIAL BY JURY IN RESOLVING ANY DISPUTE BETWEEN US ARISING OUT OF THESE TERMS OR THE SERVICES. Class action waiver. YOU AND CPK MEDIA EACH AGREE THAT CLAIMS AGAINST THE OTHER MAY ONLY BE BROUGHT IN AN INDIVIDUAL CAPACITY AND NOT IN A CLASS ACTION OR REPRESENTATIVE PROCEEDING. All arbitrations under these Terms must be conducted on an individual (and not a class-wide) basis, and an arbitrator will have no authority to award class-wide relief. You acknowledge and agree that these Terms specifically prohibit you from commencing any legal proceedings as a representative of others, participating in a class, representative, or collective action as a class representative, class member or an opt-in party, acting as a private attorney general, or joining or consolidating Claims with claims or proceedings brought by any other person (“Class Action Waiver”). Arbitration procedures. A party who intends to seek arbitration must first send to the other a written Notice of Dispute describing the nature and basis of the Claim and setting forth the specific relief sought (a “Notice”). All Notices to CPK Media must be sent to the following address: 177 Milk Street, 1st Floor, Boston MA 02109. All notices to you will be sent to the email or street address provided, if available. Upon receipt of such Notice, the receiving party will have a 60 day period in which it may satisfy the Claim against it by fully curing the Claim, providing all the relief requested in the Notice, or entering into a settlement to resolve the Claim to the mutual satisfaction of the parties. After the expiration of such 60 day cure period, you or CPK Media may commence an arbitration proceeding. Unless otherwise agreed to by you and CPK Media in writing, the arbitration will be governed and conducted by JAMS before a single arbitrator with substantial experience in the internet industry and shall follow substantive law in adjudicating the dispute, except that this section shall be construed as a written agreement to arbitrate pursuant to the Federal Arbitration Act (“FAA”). You and CPK Media agree that this section satisfies the writing requirement of the FAA. The arbitration of any claim will be conducted in the State of Massachusetts, and for any non-frivolous claim that does not exceed $10,000.00, you shall have the choice as to whether the hearing is conducted in person or by telephone. For those claims that the arbitrator decides are not frivolous, CPK Media will: (1) pay all costs of the arbitration; (2) if you prefer, will conduct the arbitration by telephone, and (3) will not seek attorneys’ fees in the event CPK Media prevails. Each party will pay the fees and costs of its own counsel, experts and witnesses. The JAMS rules are available on its website at www.jamsadr.com. All parties, including related third parties, shall retain the right to seek adjudication in a small claims tribunal for disputes within the scope of such tribunal’s jurisdiction. Any dispute, which cannot be adjudicated within the jurisdiction of a small claims tribunal, shall be resolved by binding arbitration, with the exception of any Claim or action for indemnification, contribution, interpleader, or injunctive relief arising out of a Claim, which Claims or actions shall not be subject to arbitration. Any appeal of a judgment from a small claims tribunal shall be resolved by binding arbitration. Survival. This arbitration provision will survive termination of these Terms. If any provision of this Section is declared or found to be unlawful, unenforceable or void, such provision will be ineffective only to the extent that it is found unlawful, unenforceable or void, and the remainder of the provision and all other provisions will remain fully enforceable except that should the provision on class action waiver for any Claim be found to be unenforceable by a court of law, then the provision to arbitrate will not apply. If any controversy, allegation, or claim (including any non-contractual claim) arises out of or relates to the Services or Terms and you are a non-U.S. resident, then you and we agree to send a written notice to the other providing a reasonable description of the dispute, along with a proposed resolution of it. Our notice to you will be sent to you based on the most recent contact information that you provide us but if no such information exists or if such information is not current, then we have no obligation under this section. Your notice to us must be sent to [email protected] or to CPK Media, 177 Milk Street, 1st Floor, Boston MA 02109. For a period of 60 days from the date of receipt of notice from the other party, CPK Media and you will engage in a dialogue in order to attempt to resolve the dispute, though nothing will require either you or CPK Media to resolve the dispute on terms either you or CPK Media, in each of our sole discretion, are unsatisfactory. Nothing in this section will prevent a party from pursuing their claims in court or another complaint process. You must be at least 18 years old or the age of majority in your state or country of residence, whichever is older, to use the Services. The Services are controlled and operated by CPK Media from its offices within the United States. CPK Media makes no representation that the Services are appropriate or available for use in other locations, and access to such materials or use of the Services from territories where their contents are illegal is prohibited. Those who choose to access the Services from other locations do so on their own initiative and are responsible for compliance with applicable local laws. CPK Media may give notice to you by means of a general notice on the Services, at or after log-in to your Membership account, by electronic mail to your e-mail address in our records for your Membership, or by written communication sent by first class mail, postage prepaid, or overnight courier to your address on record for your Membership. All notices given by you, whether or not required under these Terms, will be faxed to CPK Media, LLC, Attn: Dispute Resolution, at 857-­990-­3637, or sent to us by postal mail or courier at: 177 Milk Street, 1st Floor, Boston MA 02109. Any notices that you provide without compliance with this section will have no legal effect. The failure of CPK Media to partially or fully exercise any rights of these Terms, or the waiver of CPK Media of any breach of these Terms by you, will not prevent a subsequent exercise of such rights by CPK Media or be deemed a waiver by CPK Media of any subsequent breach by you of the same or any other condition of these Terms. The rights and remedies of CPK Media under these Terms, its policies, and any other applicable agreement between you and CPK Media will be cumulative, and the exercise of any such right or remedy will not limit CPK Media’s right to exercise any other right or remedy. If any part of these Terms, other than class action waiver as set forth above, is determined to be invalid or unenforceable, it will not impact any other provision of these Terms, all of which will remain in full force and effect. Headings in these Terms are for convenience of reference only and will not affect the interpretation or construction of these Terms. These Terms do not create third party beneficiary rights enforceable by third parties. These Terms and the policies incorporated herein, are the entire agreement between you and CPK Media. They supersede any and all prior or contemporaneous agreements between you and CPK Media relating to your use of the Services. CPK Media may assign these Terms, in whole or in part, at any time.